Now that the chapter on our Dominican Republic adventure is coming to a close we are finding ourselves completely lost as to where we want to go next. We have narrowed it down to three possible sailing directions, but we are struggling to come to a decision that suits us. Since I have no desires to cross an ocean, the directions that we are looking at are across to central america, back up to the Bahamas, or down through the islands to Grenada. Over the past five years of calling our boat our “home” we have met so many different sailors, from the crazy, to the strange, to the fun, to the crazy strange fun! All of these friends have been made in passing, as sailors tend to, well, sail. We have kept in touch with them through their blogs and facebook and have been able to follow as they sailed to the places that we are now considering. So I figured I would reach out and get their advice. I asked three friends of ours to describe their experiences sailing in these parts of the world, in hopes that they might help us come up with an answer as to what we are doing two months from now. Here is the first instalment, of the three, of “Where To Sail Next”. In a nutshell, can you introduce yourselves and tell us about your sailing/cruising history? 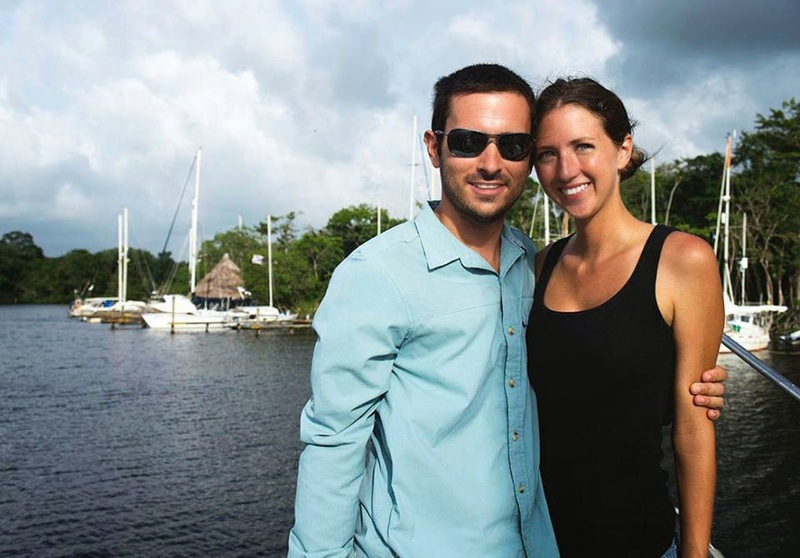 We are Jessica & Matt, aged 32, and have been cruising on our 34 ft Sabre for the past two years. A couple of high school sweethearts (for the last 4 months of school, that still counts, right?) we’ve always enjoyed idle outdoor activities together, and although we both grew up near the beautiful and pristine coast of Lake Michigan, neither of us grew up sailing or even stepped foot onto a sailboat until we took a lesson together one summer six years ago, after deciding we needed a new hobby, or at least a purpose to our lazy weekends. One lesson was all it took, and the next week we bought a 24 ft starter boat which gave us a few good years to learn on until Matt came across the lifestyle that is cruising, and we realized that would be our new goal in life. To travel the waters of the world while exposing ourselves to all kinds of new cultures and life experiences. In 2012 we left the waters of Lake Michigan on our 1989 Saber 34 Targa, our new boat which we had spent the past two years outfitting for cruising, making our way out to the East Coast via the Erie Canal. Adjusting to the new lifestyle and making new cruising friends along the way, we grew more confident about sailing on the open ocean and started cruising the coveted grounds of the Caribbean. Moving ourselves through the Bahamas, we then conquered Jamaica, Cuba, and Grand Cayman before jumping over to Honduras and Guatemala, where we rested for hurricane season. Even though we’d fallen in love with the area during our time there, we finally tore ourselves away to move up the coast of Central America, making quick stops in the outer cays of Belize and riding out the Polar Vortex and the strange weather patterns they brought, in the comfort and tropical waters of Mexico. With all of this under our belts now, we’ve decided to explore an area completely different than the Caribbean and have just made it across 3/4ths of the way across Atlantic where we currently sit in the Azores, ready to take on the Mediterranean for a few seasons before returning to the Caribbean and Central America, where life is much cheaper and we can see how long it takes to empty out our cruising kitty before eventually heading back to the real world to fill it once more. 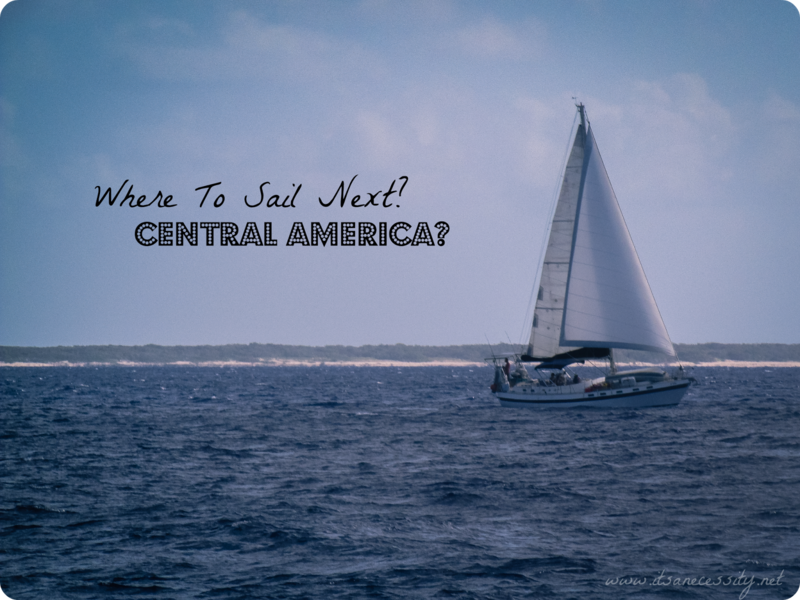 In regards to crossing to Central America and the sailing there, what was it that brought you there? A lot of things, but the fact that we fell behind on getting ourselves into the Caribbean was one of the major ones. Delays in Florida didn’t get us into the Bahamas until Mid-March, and by then we were extremely late in the season for trying to get ourselves to the islands of the Eastern Caribbean. The trades had begun to settle in and we would have had too many miles to travel with the wind right on our nose. In traveling to Central America though, we’d have the winds at our back the whole time. Call it a bit of serendipity that brought us there, but we have nothing but fond memories of our summer spent in Guatemala, surrounded by great friends and lush green mountainous backdrops. What are some of the pros/cons of sailing that region? Guatemala can be a pro/con sailing region, as in that it’s coastline on the Caribbean Sea is merely 20 miles long. All cruisers will take their boats 20 miles inland up the Rio Dulce, but meeting you at the main cruising hub of Fronteras is alluring Lago Izabal. A large freshwater lake with depths ranging from 15-30 ft, and surrounding you with breathtaking views of rolling green hills and puffy white clouds. A perfect place to visit for a daysail before heading back to your marina to hunker down for the night. Another big plus is that not only does Central America have a cheap cost of living in general, but Guatemala is the cheapest country among them. Belize we unfortunately skimmed through quicker than we would have wished, although the draws are numerous. Besides the luxury of being able to speak English again after being sandwiched into a Spanish speaking region, the number of Cays and dive sites could keep a person cruising there for months on end. The biggest con in Belize? It’s hefty $400 entrance fee. In Mexico we had only made two stops, Cozumel and Isla Mujeres. We can tell you that the Gulf Stream begins to form near the Belize/Mexico border, which is amazingly helpful if you’re using it to push you north, but going south against it we’ve heard can be a nightmare. 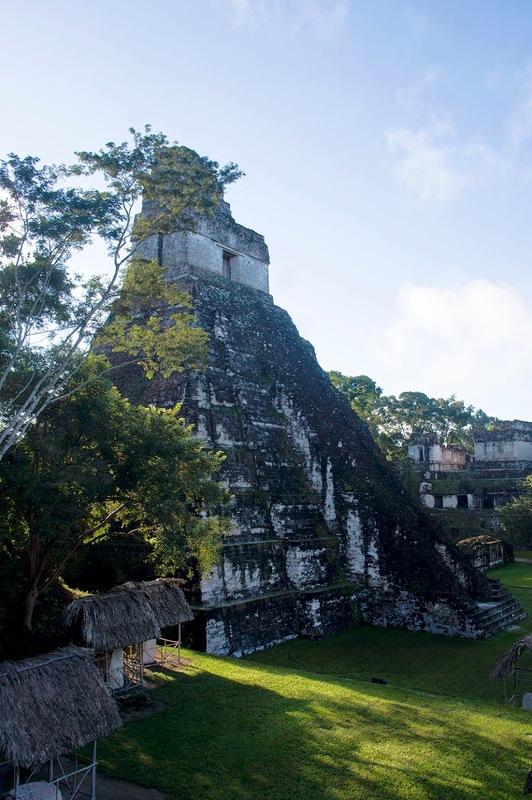 We unfortunately don’t know much about cruising the Gulf of Mexico Coast, but if you’re traveling this area, make sure to have a copy of Belize and Mexico’s Caribbean Coast by Captain Freya Rauscher. It is a lifesaver. Are there any secret gems, ‘must sees’, of the area that you are willing to let us in on? Guatemala is a beautiful country, and although the main cruising town of Rio Dulce/Fronteras has Lago Izabal and the hot springs of Aguas Calientes, most of it’s treasures lie inland. From the ancient ruins of Tikal to the charming town ofAntigua, and the volcanoes surrounding Lake Atitlan. There are plenty of must sees here, you might just have to go a little out of your way to get to them. Belize’s secret gem is probably not so secret, but the Blue Hole at Lighthouse Reef. The center of an atoll, it’s depths dive down to 400 feet while abundant coral and fish surround it’s rim. The Caribbean coast of Mexico offers the ruins of Tulum, right on it’s coast, which sadly, we did miss. If stopping in Isla Mujeres, as many cruisers do (and staying for 2 months like we did), make sure not to miss out on Playa Norte, a nice public beach at the north end of the island. The waters are Caribbean teal, palm trees shade you from the hot sun, and a stop at Bobo’s (Canadian owned) on your way back for Happy Hour drinks and chicken wings is the perfect way to while away the time there. Is there anything you could warn us, and other sailors about, before heading this way? 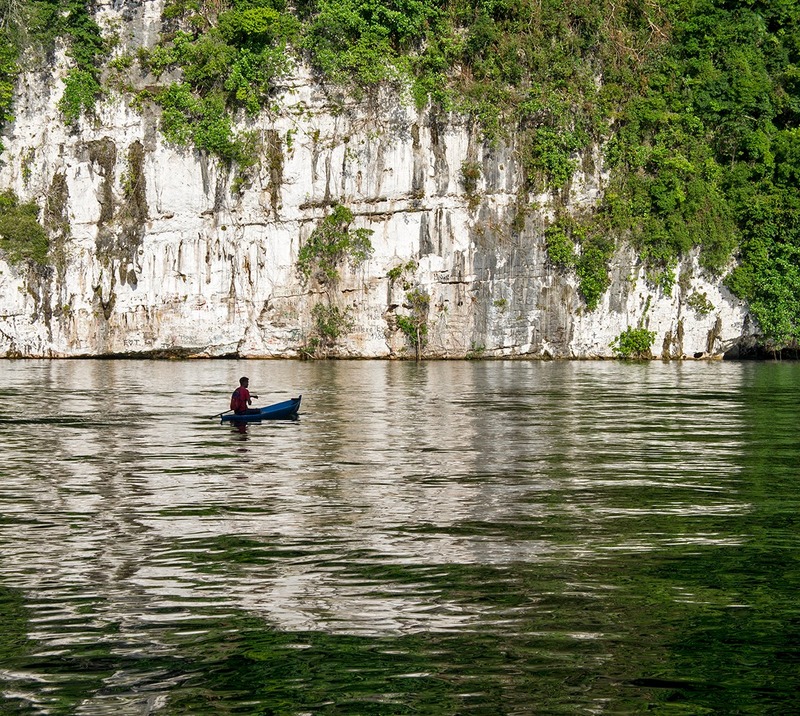 In Guatemala, there are relatively few ‘safe’ places to stay at anchor. This is not a country where you leisurely cruise around as you please, although some cruisers do. Although there are a few designated anchorages in areas around the river and Lago Izabal where you wont’ be disturbed, it’s best to stay in a marina with security and night patrols, or anchored just in front of one. We’ve never felt anything but safe in Guatemala, although there have been incidents a few years back of boats at anchor being robbed. Mexico has been known to some people for corruption among cruisers, although we’ve experienced none of it. Checking in at Cozumel made a big difference for us, it was cheap and easy compared to our friends who opted for Isla Mujeres instead, paying more money and taking 4x longer (days actually) to complete the process. Guatemala. It’s all about the beer here. The more popular brands are Gallo and Bravah, but it’s rare to see anyone with anything else in their hands. Belize seems to cater to the honeymooning or spring break tourist and was touting all kinds of tropical flavored margaritas and daiquiris, while Mexico held my personal favorite, the sangrita (not to be confused with sangria). 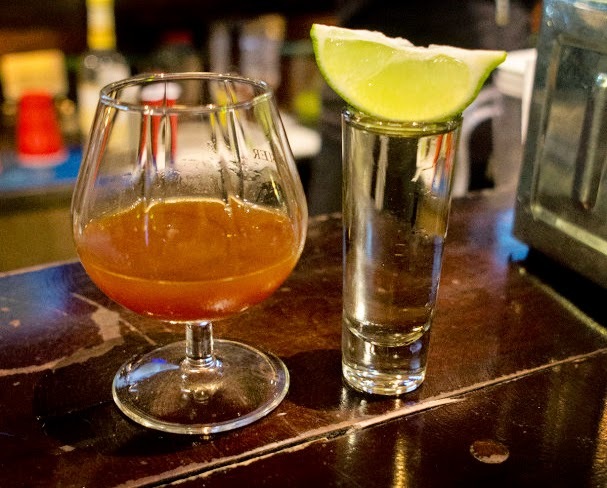 A tomato based non alcoholic beverage, flavored with orange juice and spices, that accompany a shot of tequila, either to be chased with, or to be sipped side by side with. Ohhhh, how many of these I enjoyed once I found out they existed. To gauge the cost of living, what are the cost of the following 6 items. How is the cruising community in this area? Guatemala/Rio Dulce is strange in that with the large cruising community that gathers for hurricane season, it almost turns into Georgetown Bahamas in the sense that there are constantly activities planned between the marinas. From yoga, to watercolor painting sessions, trivia, karaoke night, and, my personal favorite because it was held at our marina, pizza and movie night, there’s always something going on if you feel like participating. The strange part of it all being, that if you’re not mingling between all the marinas and activities and getting to know the other cruisers in that way, a trend seems to form where you form a click solely in your own marina. We had a great group going in our marina, but any time we’d see other cruisers on the streets of town, there were no friendly waves or hellos. 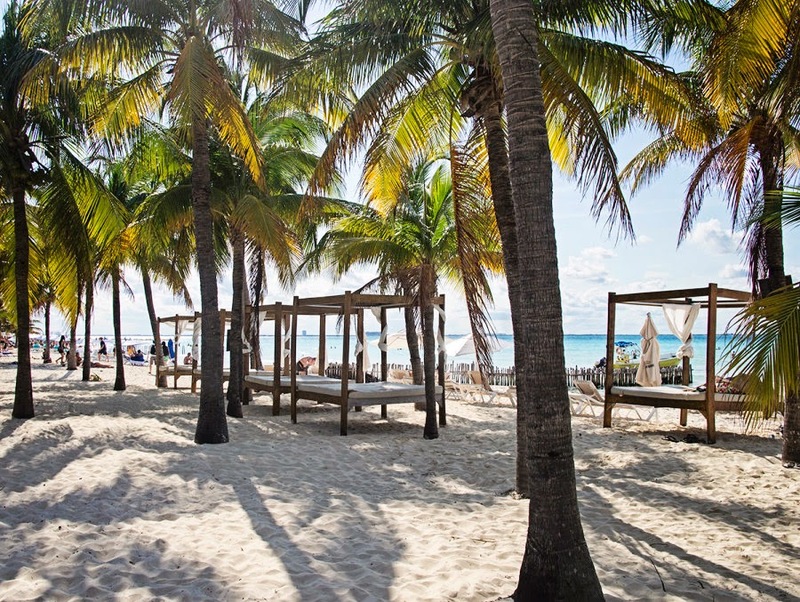 In Isla Mujeres Mexico, even if one is at anchor, the marina bars, restaurants, and pools, are filled with friendly cruisers, ready to smile and ask you how your last journey was. People here seem to find that they’re all following the same Central American path, either north or south, and it’s not unlikely to run into a familiar face that you’ve already seen along the way, eager to catch up on recent passages. We’re lucky in the sense that we’re both fairly young, fit, and healthy. There aren’t many reason for us to need to visit a doctor. With that being said though, we did still experience the health care situation in a few of these areas, or at least heard more about it from other cruising friends as well. There are many pharmacies throughout the Central American countries we’ve visited, and if you can find a generic of the drug you’re looking for, it can be very cheap. For example, a 50 pk of my thyroid medication could usually be found for $8-10. We did have to visit the clinic in Rio Dulce one time for Matt to get stitches after accidentally breaking a drill bit which then dove into his finger. The cost for seeing the doctor, getting novocain and stitches, was about $65. One of our neighboring boaters would often make his way to Guatemala City for first rate yet cheap healthcare, and other friends would make constant visits to the dentist or chiropractor in Mexico because it was so much more affordable than back home. Knowing that you’ve already been to inland Guatemala and loved your time there, I think you’d enjoy cruising there as well. Just remember that what Guatemala has to offer is more land based than water based. Belize will give you the snorkeling, fulfilling any water passions, and Mexico will give you the turquoise white sand beaches for kicking back and relaxing. Plus lots and lots of tacos. All countries though, will give you friendly and helpful locals, a cheap cost of living, and plenty of things to keep you busy. We don’t know much about the school systems, if the girls were planning on attending, but we’re sure you’d be able to find a few places that are accommodating.